The NHS 5 year forward view and subsequent publications from NHS England has set out an ambitious challenge for primary care – reflect, redesign and re-position yourselves as vehicles for the delivery of enhanced primary care services. We’ve seen GP federations and integrated care organisations being new vehicles to provide an ever expanding portfolio of services – many traditionally provided by community of secondary care organisations. The importance of IT cannot be understated. GP systems that talk to hospital and community care systems, systems that support the immediate transfer of clinical knowledge about a patient that is so essential to achieving better health outcomes and linking patients, many of whom lead digital lives into the care system so they can play a more proactive role in managing their health should all be central to the new primary care organisations digital health strategies. How have new primary care organisations embraced IT to fundamentally underpin their clinical and organisational objectives? Some are still in the development phase – working with commissioners to explore service line by service line how they can redesign a specific pathway, digitise elements so clinical efficacy is maintained or enhanced, efficiencies maximised and meet the lifestyle demands of patients for whom the surgery waiting room is a most inconvenient place. In Leeds for example, working together the CCG’s, the local acute trust and General Practice have taken a chronic pain pathway that involved regular face to face contacts, CBT via a book and an under pressure prescribing budget and created a digital chronic pain service based around the same evidenced clinical content, the same CBT techniques that support patients to manage their pain and made it available via an APP – using a simple GP referral process patients are able to download the APP, enter a digital token to activate the service and then manage their condition using CBT techniques under the watchful eye of their clinician – albeit at a distance. The service saves GP appointments, has reduced the prescribing budget and is very popular with patients. The ambition of commissioners in Leeds it to reduce the cost of chronic pain services across the city by £5m. The more developed primary care provider organisations are working across health economies to take on swathes of services traditionally delivered in community and secondary care. To thrive as organisations they are moving whole bundles of services into primary care – to deliver care closer to home, to maximise the use of General Practice resources, to create sustainable organisations and to be more responsive to patient need. However the challenge they face is often capacity – where do they put these new clinics, how do they create an economy of scale when they have 20 small practices and how do they create a service that is delivers both efficacy and efficiency. 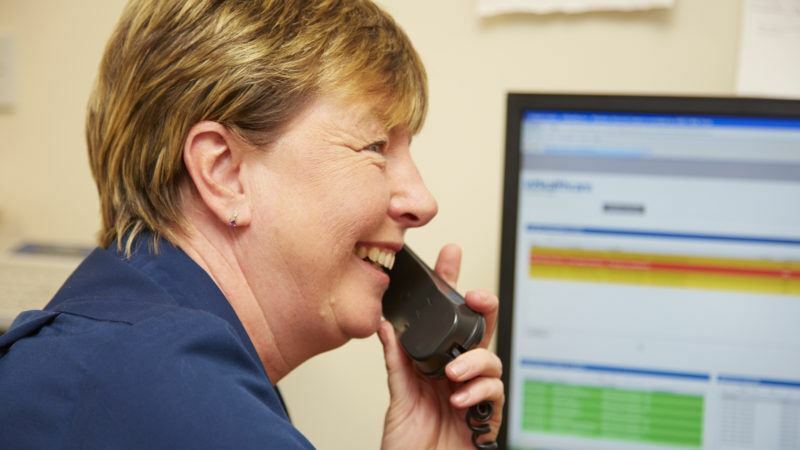 In the North West two GP Federations have adopted a ‘digital first approach’ – reviewing an agreed bundle of services with the CCG and local acute trust they have identified a number of services that can be delivered using remote technology – technology that can generate data, send it into an aggregator and enter a pre agreed data set into the GP Systems. This has allowed them to create capacity for new service lines by using technology to limit the need for a larger physical environment. Specifically, in one Federation they decided INR (monitoring of warfarin) management would be ‘digital first’ so any patient prescribed warfarin would automatically be put on a self testing regime – with a target of 80% self testers they have freed up enough clinic space to run AF detection programmes targeted at the prevention of strokes. The Federation sought the support of a technology partner who could collect, aggregate and integrate the data and global device manufacturer who were prepared to change their charging structure to support the project. They couldn’t have done this without having technology as their main enabler. They are currently working through the rest of the bundle of services using technology to create capacity. So having raised the profile of primary care IT, invested in strategies backed up with additional funding NHS England is now able to demonstrate examples of pathway redesign programmes and bigger, wider organisational development programmes that support the transfer of whole bundles of services – meeting the challenge set out in the 5 year view.